Stromtrooper Forum : Suzuki V-Strom Motorcycle Forums > V-Strom Forums > Events > Mardi Gras 2020???? So I thought I'd put this out there to see if we have anybody interested in helping to Organise an Annual Mardi Gras Rally event. I live an Hour and a half from New Orleans, I have 8 Acres for free dry camping, there are a few free/ cheap campgrounds close by, and there's always something to do down here on the Mississippi Gulf coast. 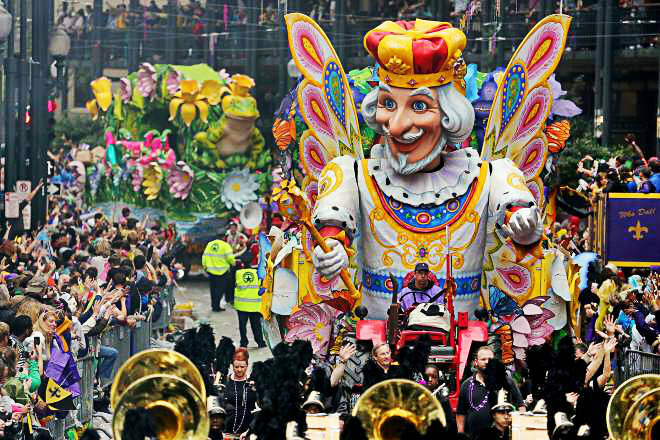 Casino's, Beaches, Great Food, plenty of roads (paved and Dirt) and during Mardi Gras time there are Tons of Parades. This would give some a chance to check off a few more states from their bucket list, and some a chance to thaw out from the cold of the frozen North.